I have to say, I really enjoyed the cave tubing but the 4 wheelers made my day! There is nothing like riding thru the rainforest and seeing it's awesome beauty and feeling the rush of adrenaline as you zip around over trails and muddy paths before you move on to the cool water of the caves. I would have to say hands down, this was my favorite activity and I will definitely do it again. Our Jungle ATV Adventure is a fun family-friendly activity on private jungle property located approximately 3 miles from the Caves Branch Archaeological Reserve (Nohoch Che'en) where the cave-tubing activity takes place. No driver's license is required and there are no age restrictions. Children who are too young to operate an ATV may ride with an adult. Guides are also available on site to offer assistance to first timers who are not fully confident in their ability drive an ATV. Our ATV Tour can easilly be a fun addition to your Cave Tubing Adventure, especially sine our private ATV park is located only a few minutes up the road from the Caves Branch Archaeological Reserve. Located in Frank's Eddy Village, approximately half way between the Western Highway (turn in at mile 37) and the Caves Branch Reserve, you'll have no problem finding us if you are traveling in your own vehicle. 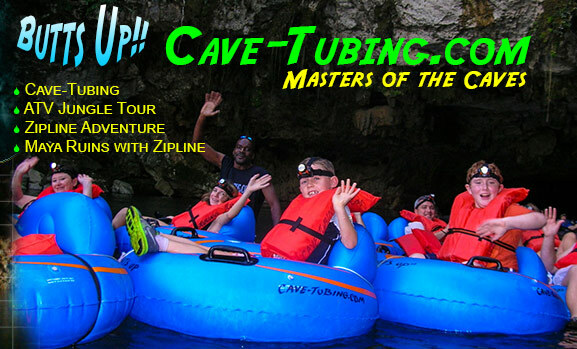 ATV + Cave-Tubing + Zipline.